There are several scenarios where a window or split-type a/c unit will not work. Often, it is because the building will not allow either, and will charge for central air conditioning. In some cases, it is because the window dimensions don’t follow standard conventions and cannot fit a window type a/c. Regardless of the reason, when you can’t use any of those options, a portable air conditioner is perfect. If you travel around the country in your RV, a portable a/c is the best and most efficient method of cooling overnight and at stops. An RV has enough options for venting and exhausts, and most stops will provide electricity. New rooms or additions to your house can bring about additional cooling needs. If upgrading your central air-conditioner is not a cost-effective choice, then cool each new area with a portable a/c, or keep a unit on hand for cooling an area on an as-needed basis. As always, ensure that you get a portable air conditioner that fits the requirement of the room. When you are thinking multi-room usage, get one that works for the largest room in the selection. Synthetic wicker furniture requires less effort in maintenance than those made with natural fibers. But, that doesn’t mean they’ll last forever even if you just leave them alone. Whether synthetic or natural, there are things you can do to maximize the life of your woven outdoor furniture. No matter where you live, it’s inevitable for your furniture to gather up dust. Dust is especially tricky with outdoor wicker furniture because it can get trapped in all the nooks and crannies. The best thing you can do is to occasionally use a vacuum cleaner with a gentle brush attachment. Alternatively, you can also use a small brush to brush off dust by hand. In between vacuuming or brushing, take the time to wipe down your furniture. To do this, take a rag and soak it in warm, soapy water. Then, wring it completely so the rag ends up damp and not too wet. Wipe all surfaces of your furniture, including the cushions if they’re made of all-weather material. If your furniture is made of natural wicker, you’ll need to wipe a second time using a soft, dry rag. While it’s not absolutely required, it’s recommended for you to cover up your outdoor furniture when not in use. This will protect it from the elements, prolong its life, and minimize the amount of work you need to do to maintain it. Your outdoor furniture from places like Wicker Paradise can last decades if you take care fo them properly by dusting, wiping, and covering them when not in use. Many furniture stores offer a wide variety of replacement patio cushions in a variety of styles and patterns. Here are 5 tips to guide you when selecting your fabrics for your outdoor furniture. Let your surroundings guide your choice – Look around your backyard to get inspiration on what colors and fabrics you should choose. For example, what do you currently have in your backyard? Do you have a pool, plants, decking? You should also consider the mood or vibe you’re trying to achieve. For example, are you considering a shabby chic casual vibe or a modern industrial look? Decide on a theme you’ll love looking at – Try and stay away from styles that are on trend and look for fabrics and colors that are suitable for every season. For example, a Moroccan or a classic nautical theme would be suitable all year around. Choose styles that create that “new” feeling – You want something that changes your space considerably and makes your space different from what it was before. Comfort is essential – You should look at fabrics that are comfortable and easy to maintain. Durability – Look at what properties the fabric offers. For example, is it water and UV resistant, are your cushions machine washable? These are smart options when selecting replacement patio cushions. 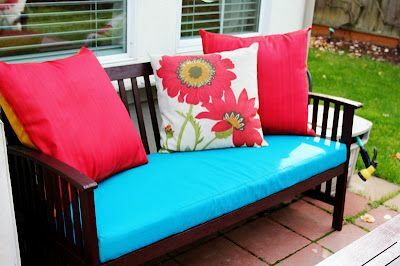 There are many online stores that offer fabrics and cushions for outdoor furniture. Some of the most popular options include Lloyd Flanders Cushions and Ikea. Wicker Paradise provides the finest wicker furniture for indoor and outdoor. They also sell accessories including outdoor replacement cushions. Proper pool patio furniture has the power to transform your outdoor poolside to the ultimate rest and relaxation zone in your house. Regardless of the type of pool, or the configuration of your patio, there is always something that can make it the ideal place to relax or entertain guests. 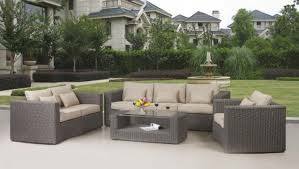 When it comes to poolside patio furniture, wicker furniture is the most popular, be it sets or sectionals. Wicker is generally made from bamboo, reeds and are woven into intricate patterns which look very attractive poolside. Outdoor furniture can take a beating from the weather and the UV rays from the sun. A good way to protect them is to use an outdoor furniture cover. This is just as useful for the long winters when the pool will not be used. Regardless of how well they are looked after, cushions take a bigger beating than the furniture. One approach is to buy replacement cushions, like lloyd flanders cushions, regularly, This way the entire set gets a facelift and will look new again. Wicker Paradise is a provider of the finest wicker chairs and furniture for sale, including replacement patio cushions. The easiest way to clean and remove any surface debris is to use a vacuum cleaner. Gently sweep along the grain of the wicker in order to avoid damaging any of the reeds. Next remove any trapped dust and dirt using a soft brush. Even something like an old toothbrush would work. Finally use tweezers to pick out anything that is stuck or trapped between the reeds. The first thing to do is make sure that your wicker patio set isn’t paper fiber based wicker. Washing that will ruin it completely. Use a soft washcloth with detergent and wipe it down. Now you can a garden hose set on a gently spray and wash the furniture. Sometimes you will also have mold and/or mildew on the surface. This can happen with moisture build up and lack of maintenance. You can clean this up with a mixture of bleach and water. Only clean the mold and mildew after it has been cleaned and wash as per the above. Dry in the shade for approximately three days before use. Wicker Paradise is a provider of high quality wicker furniture. You can even find replacement cushions there. The texture, the natural colors, and the added cushions can add instant character to any area. In a nursery, a wicker rocker with pastel cushions is soothing and comfortable, and a tropical print on a living room set will give the area an exotic and natural feel. According to Wicker Paradise, white wicker bedroom set can become a little girl’s dream if dressed in her favorite shades of pink or lavender. These furnishings are so easy to transport to another area of the residence. There is no need for extra outside help, dollies, or any other assistance. Two family members can easily move a sofa just by removing the cushions and taking an end each. Rearranging the various rooms has never been so easy and so much fun. Wicker furniture has been around for a very long time. Its ageless appeal will supply your home with furnishings that will never go out of style. For example, a wicker dining set with the requisite number of wicker dining chairs can remain in your dining room for years without the indoor area looking dated or old fashioned. Wicker furnishings are very inexpensive when compared to wooden or upholstered pieces. You can easily add to your collection and replace worn or broken items with minimal expense. If you need a new color, it is a snap to paint the surfaces or change out the cushions of these furniture pieces. Open cell reticulated foam is known for its’ open pore structure that allows air and water to flow through easily. This free-flowing structure is designed to create a comfortable and cool seating cushion. Most commonly used outdoors, patio owners are fond of these. Another variation of open cell foam is dry fast foam. A widely popular product due to it being formulated with antimicrobial agents, along with it being waterproof, this foam is a boat owner’s best friend. Dryfast foam is made with quality in mind. You’ll be getting a product that’s virtually maintenance free. It is, however, a more expensive foam, but with such an outstanding quality it’s highly recommended for use in areas that receive heavy moisture. Dry fast foam and marine foam cushions have long been imitated by manufacturers that want the same success that these types of foam have experienced in the last years. Be sure that you confirm that your dry fast foam is authentic and not a knock-off. You can easily determine this by pouring a cup of water on top of the foam and watch it seep through to the other side immediately. If you see it begin to run off the sides, then it’s most likely an imitation. Dry fast foam is a high quality product that is perfect for high-moisture areas. If you’re a boat owner, consider using these foam products as they will give you the least amount of trouble and require little to no maintenance in the end. Here are some tips that will help you select the right type of cushion foam for your household. 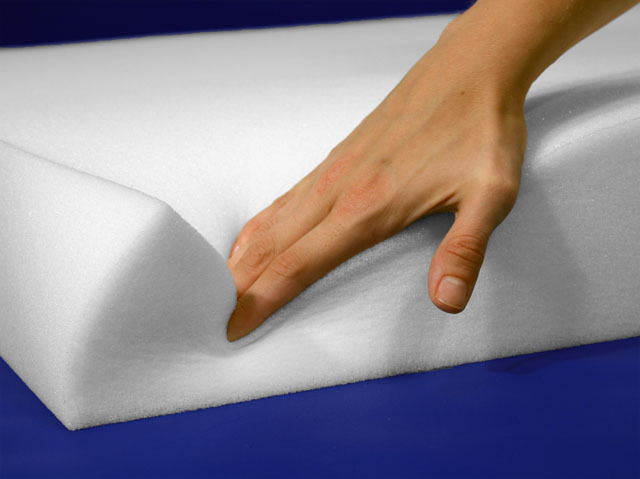 As you may not know, there are various types of foam that are available on the market. Each type of foam varies in that they have different properties, making them useful for both outdoors and indoors. They range from soft to firm with a designated density and a form of treatment added. Seat cushions must be comfortable, especially if they are used for more than 3-4 hours a day. One of the ways that you can determine how soft or firm a foam cushion is, is by measuring its Indentation Force Deflection value. This reflects the amount of pounds required to compress a block of foam by 25%. If you purchase foam that has a lower designated ILD number to it, you can expect it to have a softer texture. A higher ILD number has a more firm texture to the foam. Density can be viewed as how much wear and tear your cushion can take before it ultimately has to be replaced. The higher the density of the foam, the better grade the foam is. If you are replacing a seat that will be frequently used throughout the day, a recommendation would be to find foam with a higher density value. Foam is also treated with certain agents to prolong its life as well as aid in outdoor usage. Antimicrobial agents are often embedded in foam to help boat owners maintain their cushions as well as prevent bacterial growth from occurring. These marine-friendly foams are usually open-celled and lighter due to the fact that moisture and air needs to be able to seep through to the bottom. Bio: The Foam Factory is your one-stop shop for cushion replacement, custom foam blocks, and packaging materials. Visit their online store today to browse their massive inventory. Written by The Foam Factory, Inc. When you purchase a sofa, couch or chair, you have expectations for its quality and want it to last for years – if not decades. But far too often, people wind up replacing their furniture pieces after just a few years because they are no longer comfortable to sit in. In many cases, the problem isn’t with the furniture itself – it’s with the cushion filling. Most new cushions are filled with foam that is designed to be comfortable while also providing support for a person’s pressure points when sitting. Over time, the foam becomes compacted under the weight of people sitting in the same point. Eventually, the foam loses its ability to bounce back to its original shape and density, leading to it no longer feeling comfortable. When this happens, many people decide to either buy completely new sofa or chair cushions or just get new furniture. These are both expensive and drastic solutions to a common problem. A better choice is to simply get foam that can be inserted into the cushions. By purchasing high quality foam, homeowners can find the perfect material that will be comfortable and durable at a fraction of the cost of replacing their cushions. Putting new foam into existing cushions is easier than most people think. If you can measure your cushion covers, you can get a piece of foam that will be a great fit. Even if you have a couch or chair with a uniquely-shaped cushion, it’s easy to get custom foam cushions at a reasonable price that will be a perfect match. The Foam Factory, Inc. has been in the business of providing foam products to their customers for more than 30 years. The family-owned business takes pride in the quality of their products and their customer service. Firstly remove any and all flaking paint. You can do this with a wire brush. Scrape off as much as you can. In some cases you can even use a home high-pressure car washer to blast the paint off, though this only applies to rattan reed furniture. Once the flaking paint has come off, you need to apply a primer. For both indoor and outdoor wicker furniture apply two coats of an oil based wood primer. You can either spray it on or use a good natural bristle brush. Once the primer has dried you can apply the paint. For the best finish use a compressor and apply two coats of semi gloss house paint. This paint adheres to wicker well and is durable. Latex paint is also an option, though it does not last as long and is prone to flaking. Remember to take general safety precautions when painting. Wear safety goggles and a facemask when applying both the primer and the paint. Paint in a well-ventilated area and not in a small-enclosed space. While the compressor is the recommended way to apply paint, if you only have one piece to paint, then using a spray is a good alternative. Generally spray cans are not recommended when painting multiple pieces is due to the wasted paint from the over-spray and it can be costlier. Wicker paradise sells beautiful outdoor wicker furniture that will be perfect for your patio or deck.